Christmas Gift Wrapping with Authentique Paper & Tombow! Hello, this is Eva and I am here to share a couple of Christmas gift wrapping ideas I put together using our Joyous Collection and Tombow Adhesive products. I altered a round wooden box and created a pillow box. They will make a perfect little gift holder for someone special. 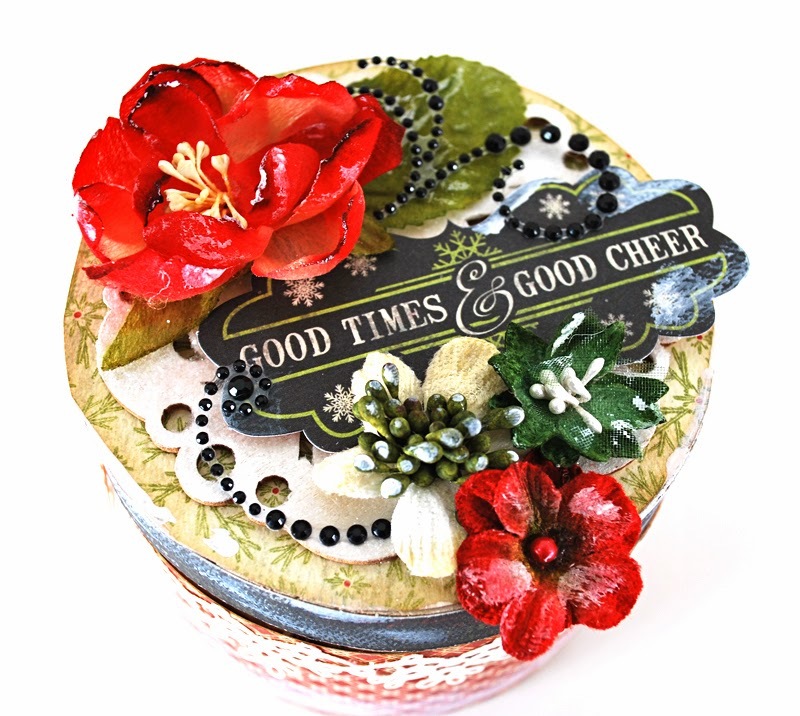 I bought this little wooden box at Michael's and using the Joyous collection papers and the Mono Multi Liquid Glue I decorated it. I also had a gorgeous Maya Road wooden snowflake, which I covered with Mono Aqua Liquid Glue and white glitter and started adding the sentiment label, Petaloo Botanica flowers and black crystals. I also added a little bit of gesso to my finished box to add some snow effect to it. My next project was a pillow box, which was cut using craft paper. 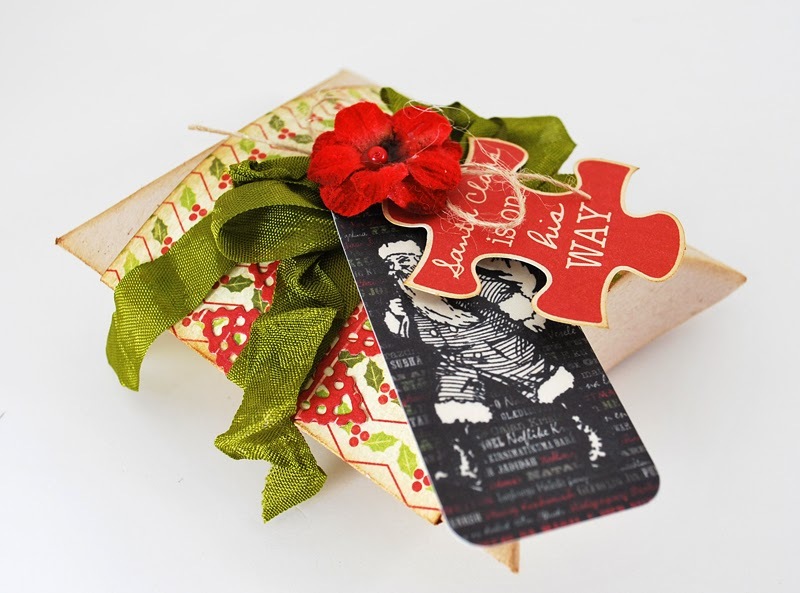 I wrapped my Joyous paper around it, glued it with Mono Adhesive Mega Roller added a pretty green seam binding ribbon and some of the die cuts and topped my bow with a Petaloo flower. Hope these give you a few ideas on how to present those special gifts to your loved ones. 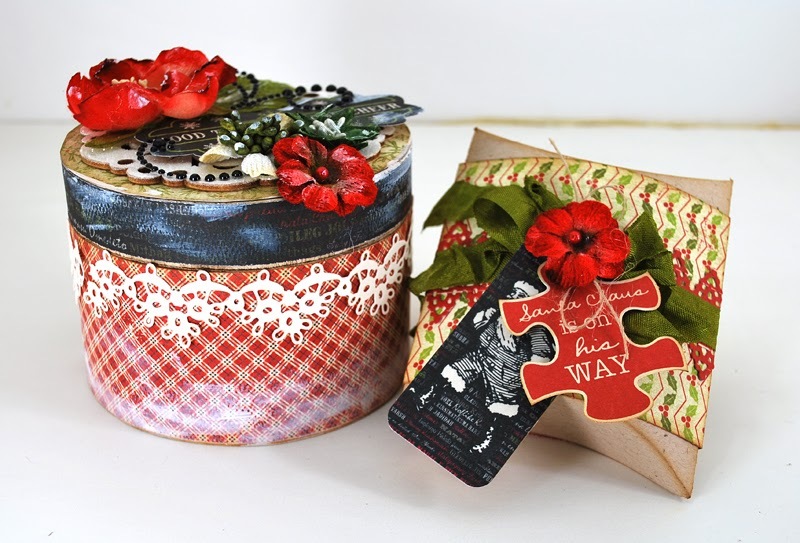 Using tins as gift boxes is a wonderful idea and you have done a fabulous job spiffing it up for Christmas. The flowers are bright and colorful. Love the zigsaw puzzle piece. 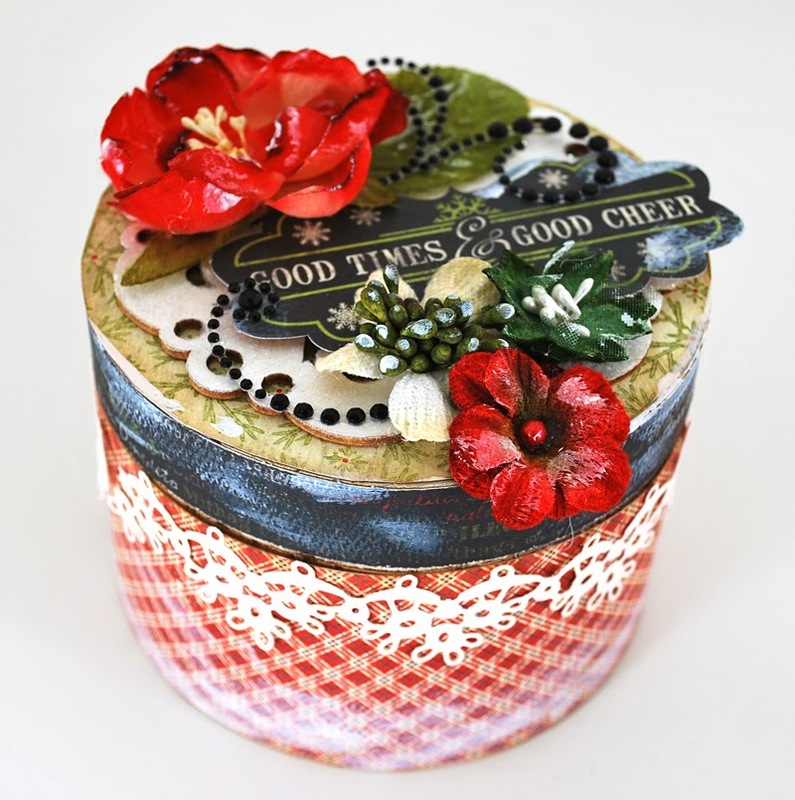 Pillow box is one of my fave gift wrappings to make. This one looks gorgeous, I love how ribbon and flower make it so bright. Both gift holders are beautiful! I really love the box! I can just imagine it filled with some yummy chocolates. the flowers used on them. What a pretty box, I love the embellishments! Beautiful projects that the recipients would love to open! TFS! What original unusual color combination is not only the traditional red and green but also black! I'd like to make your family and loved ones the same small surprises, thanks for the idea! 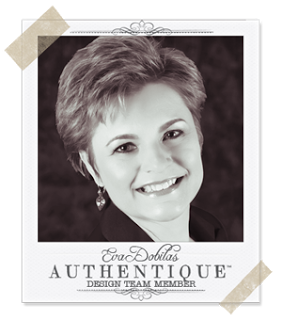 I wish the designer inspiration and new ideas!